The Jagger Rosewood Perpetual Plaque 18 Black Plates. 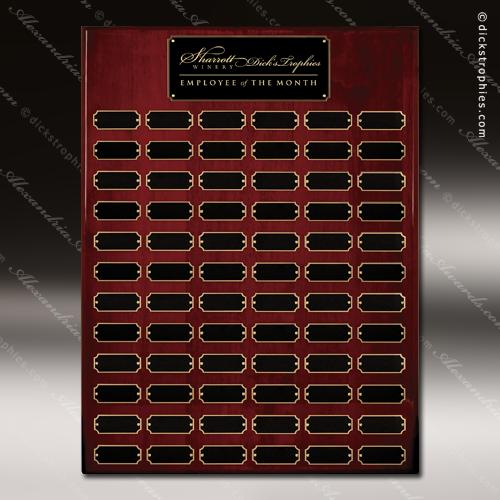 Available in multiple Plate quantities, this Rosewood Piano Finish Perpetual Plaque is a great way to create an awards wall with perpetual winners. 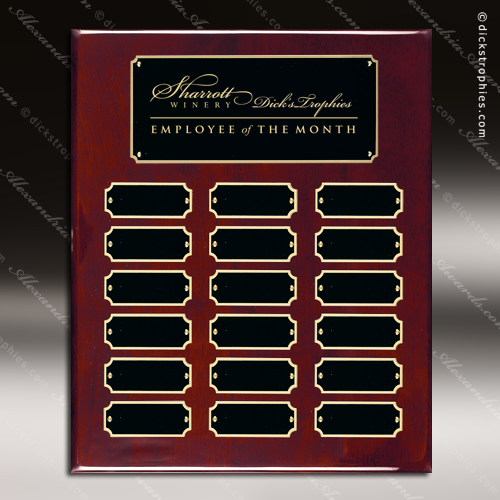 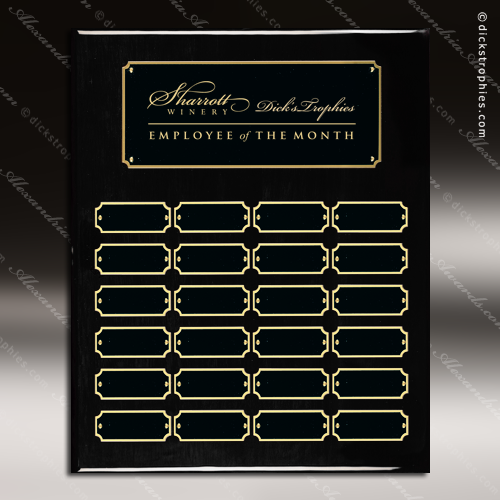 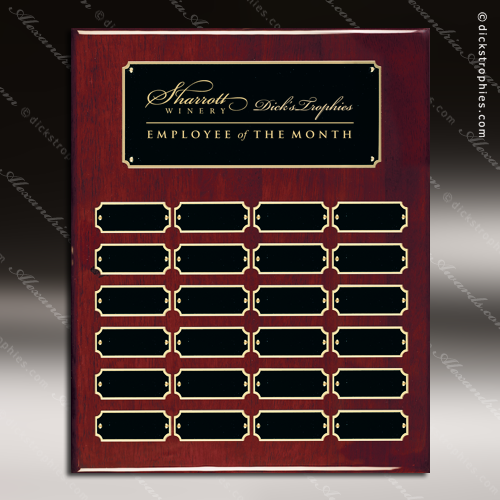 Great for employee recognition, donor recognition, church recognition, achievement awards and more. The Jagger Rosewood Perpetual Plaque 24 Black Plates. 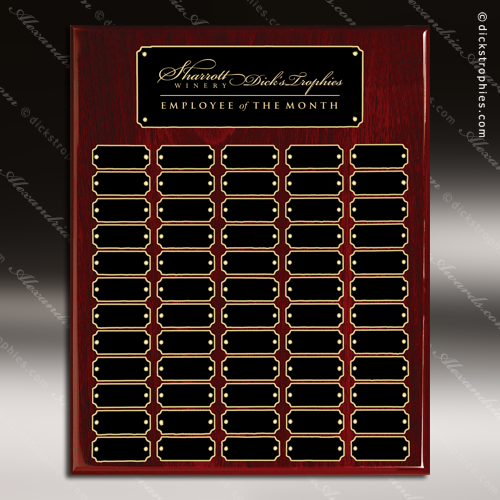 Available in multiple Plate quantities, this Rosewood Piano Finish Perpetual Plaque is a great way to create an awards wall with perpetual winners. Great for employee recognition, donor recognition, church recognition, achievement awards and more. The Jagger Rosewood Perpetual Plaque 45 Black Plates. 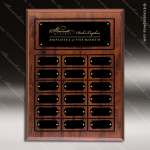 Available in multiple Plate quantities, this Rosewood Piano Finish Perpetual Plaque is a great way to create an awards wall with perpetual winners. Great for employee recognition, donor recognition, church recognition, achievement awards and more. 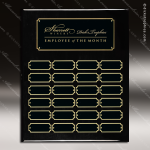 The Jagger Rosewood Perpetual Plaque 60 Black Plates. Available in multiple Plate quantities, this Rosewood Piano Finish Perpetual Plaque is a great way to create an awards wall with perpetual winners. Great for employee recognition, donor recognition, church recognition, achievement awards and more. 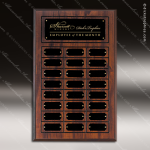 The Jagger Rosewood Perpetual Plaque 72 Black Plates. Available in multiple Plate quantities, this Rosewood Piano Finish Perpetual Plaque is a great way to create an awards wall with perpetual winners. 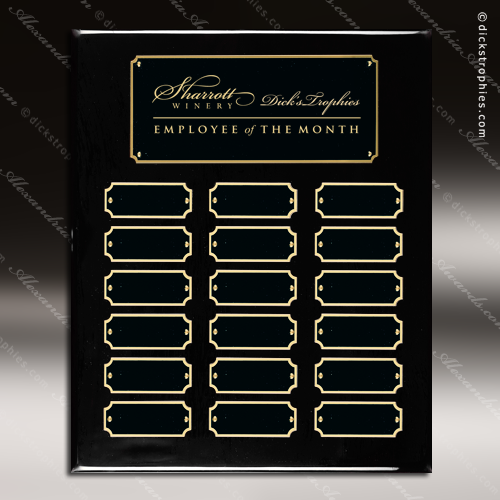 Great for employee recognition, donor recognition, church recognition, achievement awards and more. 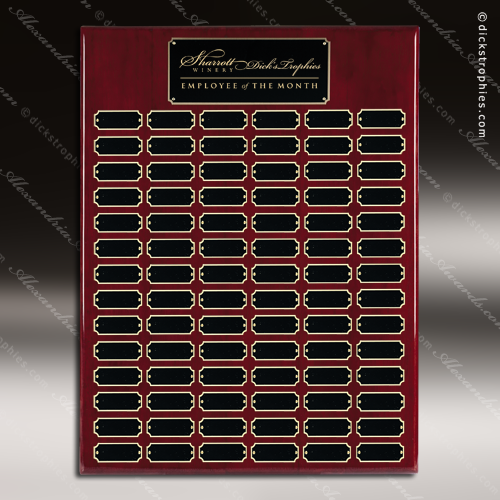 The Jagger Rosewood Perpetual Plaque 84 Black Plates. 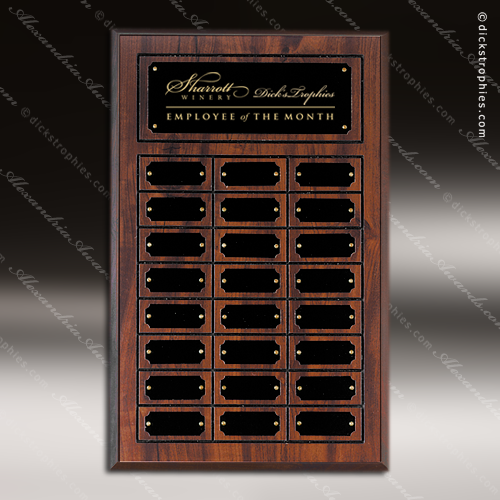 Available in multiple Plate quantities, this Rosewood Piano Finish Perpetual Plaque is a great way to create an awards wall with perpetual winners. Great for employee recognition, donor recognition, church recognition, achievement awards and more.